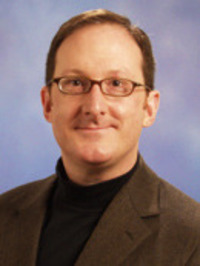 Derek Parker Royal, founder and executive editor of Philip Roth Studies, has published essays on American literature and graphic narrative in diverse scholarly journals. His books include Philip Roth: New Perspectives on an American Author (Praeger, 2005) and the soon-to-be-published Unfinalized Moments: Essays in the Development of Contemporary Jewish American Fiction (Purdue UP, 2011). Derek has served, or is currently serving, as guest editor of several special journal issues devoted to comics, including one for MELUS on multi-ethnic graphic narrative, for Shofar on recent Jewish comics and graphic novels, for ImageTexT (along with Christopher Gonzalez) on the Hernandez Brothers, for Forum for World Literature Studies (along with S.C. Gooch and Juan Meneses) on politics and comics, and for the Journal of Graphic Novels and Comics (along with Peter Coogan and Mel Gibson) on superheroes and gender. Also, he serves on the editorial boards of ImageTexT, the International Journal of Comic Art, and the Journal of Graphic Novels and Comics. Currently he is working on two books, The Hernandez Brothers: Conversations (UP of Mississippi, 2011) and Coloring America: Multi-Ethnic Engagements with American Comics. Derek is the 2012 Chair of the Discussion Group on Comics and Graphic Narratives.